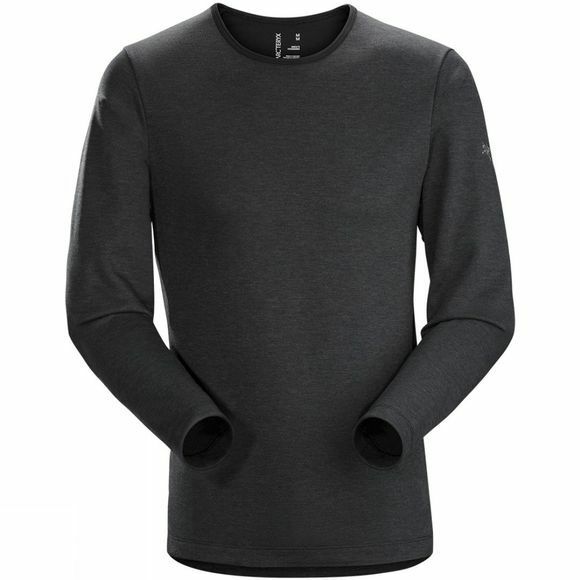 The Mens Dallen Fleece Pullover from Arcteryx is a warm crew neck designed to offer an extra layer of warmth for everyday life when it's too warm for an insulating layer and too cold for just a t-shirt. Made from Polartec Thermal Pro fleece, it has a soft to touch feel while keeping to you warm and comfortable. With a crew neck for a traditional look and gusseted underarms for increased movement, it will soon become your go-to piece for those chilly days and nights.